Finding the best cellphones for seniors can be difficult in a market saturated by fancy smartphones. Mobile phone technology continues to accelerate at a rapid pace resulting in an avalanche of shiny new models each year. This can make it difficult to sift out the best cellphones that are easy to use and don’t come with all the fancy bells and whistles. For senior cellphone users, or those that prefer a mobile phone that simply makes calls, today’s range of smartphones can be quite frustrating to deal with. Despite the proliferation of mobile phones that do just about everything, traditional cellphones that are easy to understand, and simple to use, are still available. 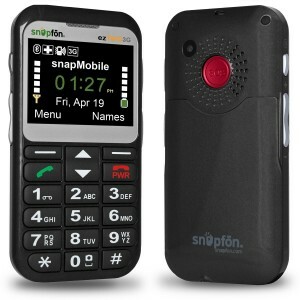 The Snapfon ezTwo is one of the best senior cellphones available. The cellphone features big buttons, enhanced volume, a speaking keypad, and numbers in a large font. This phone comes with 3G and 2G GSM coverage as standard which means an unlocked model can be used with service providers in the US and worldwide. Notable features include an SOS button that can be configured to include 24/7 emergency monitoring, and a standby time of 90 – 100 hours. The stand-out feature on the Snapfon ezTwo is the SOS button, which provides one-touch access to family members and emergency services. The phones’ enhanced volume and its speaking keypad which says each number that is dialled in a clear voice help to reduce mis-dialled calls and wrong numbers. To round things off, the ezTwo also comes equipped with a handy high intensity flash light, making it a great accompaniment for senior cellphone users. This cellphone for seniors does what its name suggests. The Janizz Simple Big Button GSM Cellphone can work on any GSM network worldwide. The phone’s big buttons ensure easy dialling and access to required features, while each number that is pressed is spoken out loud. The Janizz cellphone makes the list of the best cellphones for senior users thanks to its simple design and ease of use. Still, the Janizz simple phone also offers important features such as an SOS feature that can text pre-stored numbers, and an ambulance siren that can be used to alert nearby people in the event of an emergency. Compatible with US GSM mobile phone carriers such as AT&T and T-Mobile, the Janizz simple phone’s simplicity makes it one of the best cellphones for seniors available. The GreatCall Jitterbug Touch3 ups the ante on cellphones for seniors by offering touch-screen controls and built-in health and safety apps. What makes the Touch3 a great cellphone for seniors is the combination of modern technology and a design tailored for senior users. 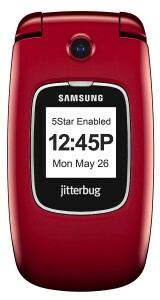 Made by Samsung, one of the worlds leading mobile phone makers, the Jitterbug Touch3 is a simple and affordable smartphone. The phones’ modern look is complemented by its large touch screen and icons which provide ease of use. The best feature of the Jitterbug Touch3 is that because it is a smartphone, users can have access to an unlimited range of useful apps. Greatcall offers a suite of health and safety apps that make this a good companion for senior cellphone users. 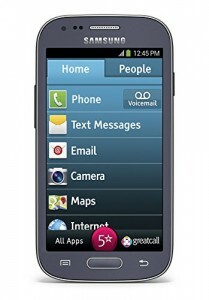 When it comes to the best cellphones for seniors, the Alcatel 382G is among the leading mobile phones available. This cellphone makes this list because of its n0-nonsense simplicity. Despite the obvious simple features like big buttons and a hands-free speaker, the Alcatel 382G also offers some advanced capabilities. Notable features include call waiting, caller ID, voice mail, and text messaging. A background noise reducer ensures high quality audio during calls, while the phones’ well designed features offer users the simple convenience of a cellphone that does its job well. The Alcatel 382G is a prepaid phone that also comes with free double minutes for life when purchased with a Tracfone service plan. The Jethro 3G senior cellphone is an advanced yet simple to use mobile phone. This phone offers wider and stronger cellular coverage on both 3G and 2G GSM and is compatible with most providers. Standard features include SMS/MMS messaging, a camera, and bluetooth technology. 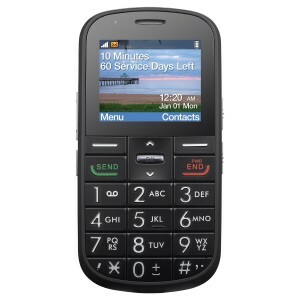 Highlights on the Jethro 3G senior cellphone include an SOS button which can call or text up to 4 emergency contacts, and an optional desktop charging cradle that provides convenience and faster access. Additionally, the Jethro cellphone comes with cutting edge hearing aid compatibility, another reason why this is one of the best cellphones for seniors around. The GreatCall Jitterbug5 is the sister model to the touchscreen enabled Jitterbug Touch3 above and is described as a cellphone and medical alert device. With large buttons and numbers for easy dialling and a clam design that eliminates accidental calls, the Jitterbug is also available in red, blue, or white. Features on the GreatCall Jitterbug cellphone include a backlit display for better visibility in low-light areas, and a long lasting battery. Special moments can be captured using the in-built camera, and the phone has a long standby time of nearly a month! The Jitterbug5 is also hearing aid compatible and has a 5star button that provides one-touch access to medical alert services. Another great feature for senior cellphones users with the Jitterbug5 are the health and safety packages available with the phone. GreatCall provides an app as well as telephone operators that help keep users connected with family, friends, and urgent care or medical alert services. The mobile phones listed above are some of the best cellphones for seniors as they all offer the ease of use that many senior people look for in mobile phones. Added features such as hearing aid compatibility and one-touch SOS buttons enhance use and make them the perfect companion for senior users.